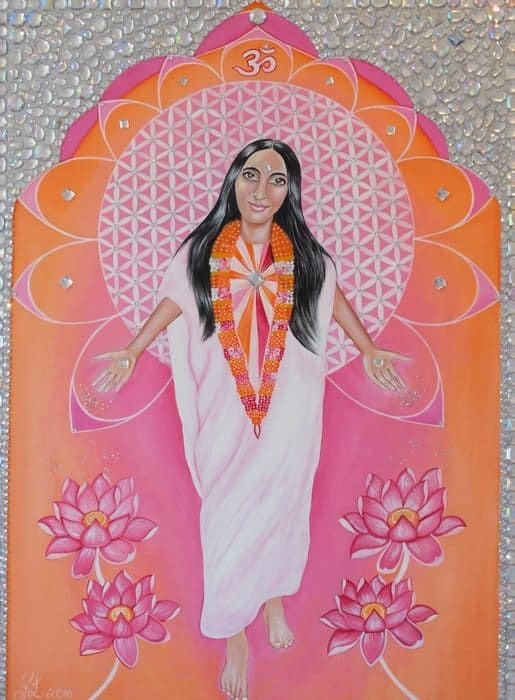 This art print on canvas of Lady Anandamayi Ma shows her coming through the gateway with the wisdom of divine mother, holding grace with her open arms to receive her loving guidance. 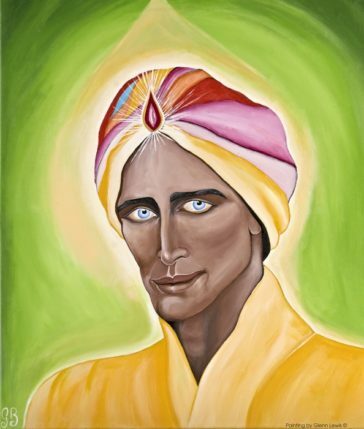 This art print on canvas of Lady Anandamayi Ma shows her coming through the gateway with the wisdom of divine mother, holding grace with her open arms to receive her loving guidance. She offers you her openness, like the Lotus Flower, connecting you to the flower of life within yourself. 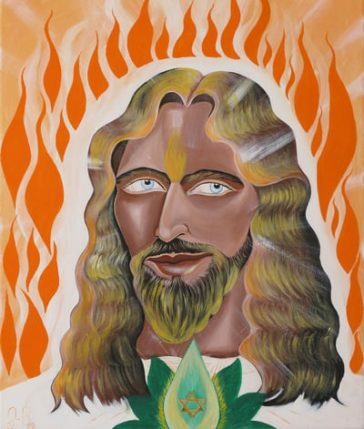 Her portal painting will help you discover your relationship and words of kindness and Love within you for ever more.